San Cristóbal de las Casas, Chiapas - The day after the Federal Judicial Branch ratified his sentence of 60 years in prison, the Tzotzil teacher Alberto Patishtán Gómez repeated that he will not request a presidential pardon in order to be released, because he is innocent. "I have always said that I am not going to appeal for pardon, because, what would I ask for pardon for? On the contrary, they should be asking me for forgiveness for what they have done to me. I only hope that justice is done, and nothing more," he declared at a press conference held in the city prison. - If they were to offer you a pardon, would you accept it even though you didn't ask for it? - I repeat: I just want them to release me because I am innocent; I am only asking them to release me, that is all. He maintained that the judges of the first collegiate tribunal of the twentieth circuit, based in Tuxtla Gutiérrez, denied his liberation, "perhaps because of my colour, because I am indigenous; perhaps because I am neither a foreigner nor a blondie who speaks other languages​​, nor do I have the economic power to do other things." He said that he will have recourse to international courts to seek his release. "Sadly, I would say that we must leave Mexico to seek justice; it should not be. We have to go to Amnesty International." "I have told my truth, which cannot be unfounded." Accompanied by his daughter Gabriela Patishtán Ruiz and his granddaughter, Génesis, barely three months old, he said: "As you know, yesterday we were all hopeful that the government would show a little justice, but it was not so, quite the opposite," he commented. "The judges say that it is unfounded (the case for recognition of innocence). I affirm that I have spoken my truth, which cannot be unfounded, its basis is founded in the Word of God. I am not lying," said the teacher who comes from the municipality of El Bosque, located in northern Chiapas. "The authorities do not see it as I see it. If I could lend them my eyes, I believe that things would be different. If I could lend them the understanding that I have, then things would be different," he said, while stressing: "I am not going to keep quiet. I will continue fighting and the truth has to be known one day. I am calm, a little angered by what happened, but here I am throwing out the desires to seek freedom. "I have a clear conscience, and that gives me peace, courage and the strength to continue living; it doesn't matter where you are, what matters is that we are alive," he said. When asked what he thinks of the judges who denied his release, he responded: "I'm just going to pray for them because we are not the criminals. I don't hold hard feelings for any magistrate. If they do it, it is because they have no conscience. Hopefully, one day their hearts will be touched, and they will see things the way they should be seen, with a different Mexico, where we can all be in peace." Meanwhile, the governor of Chiapas, Manuel Velasco Coello, stated that it is "unjust" that the First Collegiate Tribunal of the Twenty-first Circuit denied the liberation of Patishtán Gómez, and he added that "now he must proceed with a pardon." 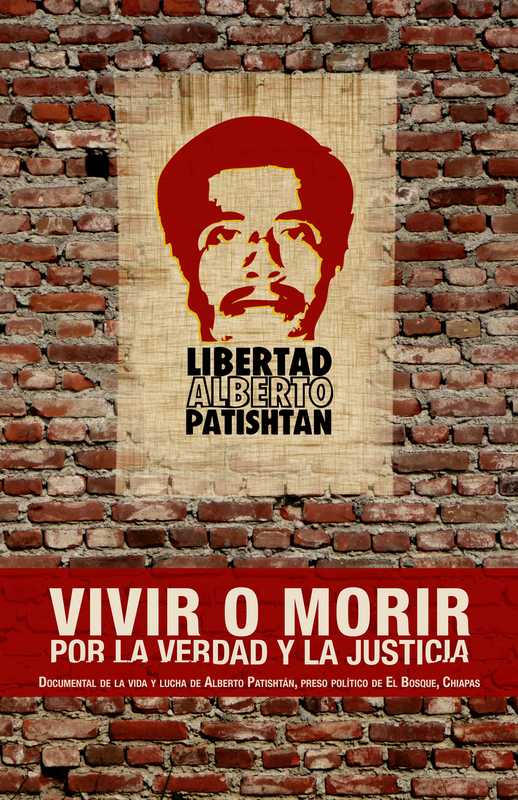 Patishtán has spent 13 years in prison, accused of murder and injury, damage to property and possession of prohibited firearms, for his alleged involvement in an ambush which took place in 2000 in El Bosque. In that attack, six state police officers and one municipal policeman were killed.